Allow us to introduce ourselves…. we are Andrew and Vicki. Together with our horses we are on a journey that is taking us to places we have never been before. Click on the 'About' tab to find out more. I have learned to listen to horses speak through their movements, their expressions and ultimately their energy along with much that has been recorded about them. 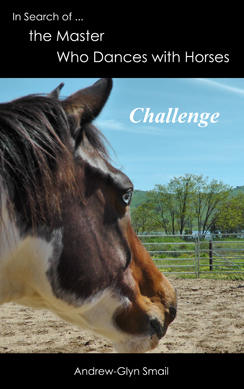 Listening to horses speak has changed my life and taught me a great deal. This book contains a little of what I have learned from horses while listening to them speak. And much of it is startlingly different from what we take for granted. 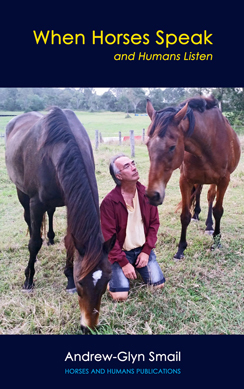 Urgently in need of a meaningful change of life, a man decides to cross the world together with his wife, a horse and a dog to spend a year training full-time with Klaus Ferdinand Hempfling , arguably the most popular horse trainer in the world based on social media statistics. He expects it to be life-changing. It is. These are his reflections. horsesandhumans.com/blog © 2019 All Rights Reserved.